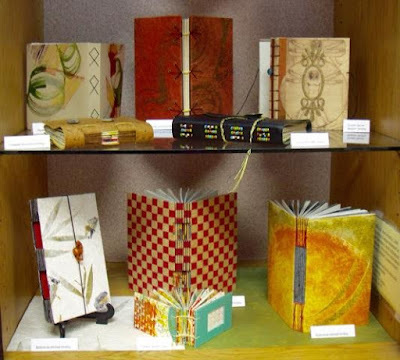 This summer the kiosk in the Humboldt County Library features creative nontraditional book bindings made by several NORBAG members. 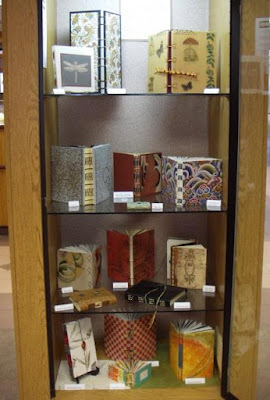 Many thanks to Donna Gephart, Edge Gerring, Dolores Guffey, and Michele Kamprath for lending their books and to Lynne Gurnee for arranging the display. In traditional book binding, individual signatures (sets of pages) are sewn together and then bound between two covers with a spine which hides the stitching. 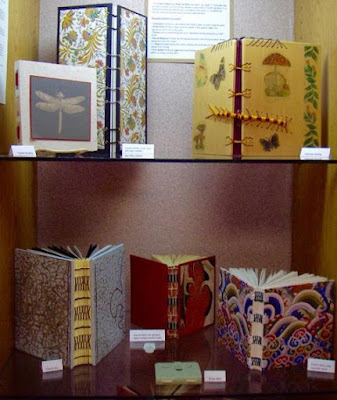 Modern book binders sometimes eliminate the spine so that the stitching is visible becoming part of the decorative art of the hand-bound book. 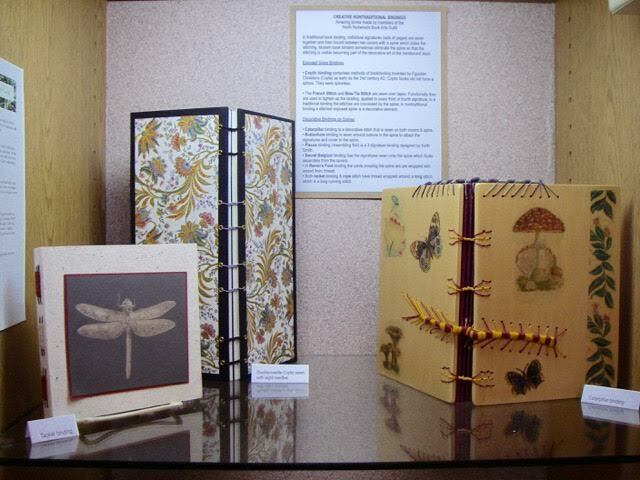 • The French Stitch and Bow Tie Stitch are sewn over tapes. Functionally they are used to tighten up the binding, applied to every third or fourth signature. In a traditional binding the stitches are concealed by the spine; in nontraditional binding a stitched exposed spine is a decorative element. • Caterpillar binding is a decorative stitch that is sewn on both covers & spine. • Buttonhole binding is sewn around cutouts in the spine to attach the signatures and cover to the spine. 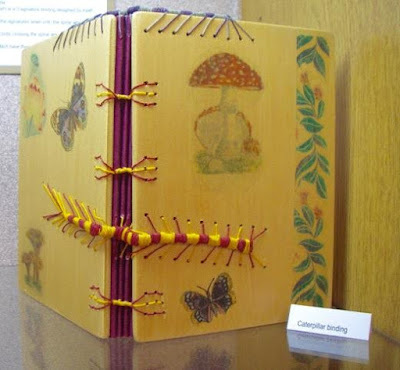 • Pisces binding (resembling fish) is a 3 signature binding designed by Keith Smith. 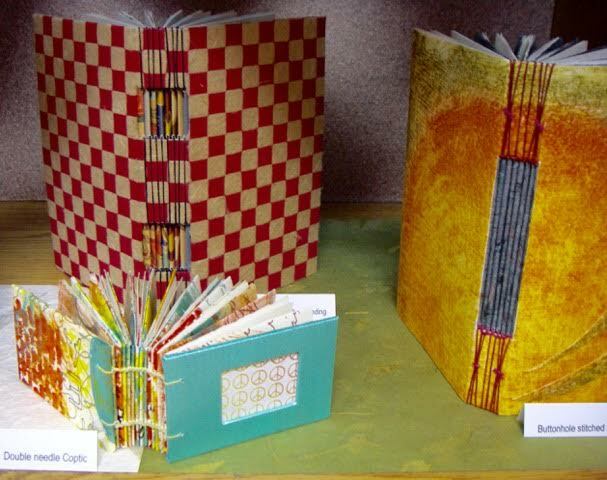 • Secret Belgium binding has the signatures sewn onto the spine which floats separately from the covers. • In Raven’s Foot binding the cords crossing the spine are wrapped with waxed linen thread. 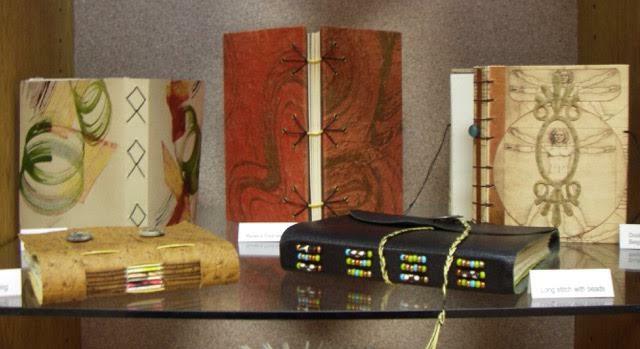 • Both tacket binding & rope stitch have thread wrapped around a long stitch, which is a long running stitch.